This is ridiculous! I don’t find it to be troubling just because we are farmers that do things this way I find it troubling because it just completely goes against the grain of the way things are meant to work. Imagine for a minute a blackberry bush that you find growing in a treeline or pasture, how and where did it’s fertilization come from, who cares for it? Aren’t those berries some of the sweetest and best tasting berries ever? Sure they are! How did they get to be that way? I can tell you how they got to be that way. Mother Nature has systems in place to afford plants the right things to make them bountiful. The birds and rodents that help themselves to the berries before and after you get there to harvest a few clean up the mess and fertilize the soil, the plant it self works to build it’s own mulch when the leaves and canes fall and the soil organisms team up with them to break it all down. No one goes out there with a jug of round up and fertilizer to “care” for the berries, they just do their thing, thanks to Mother Nature and her time tested methods. We have teamed up with Mother Nature and try to use her methods here on Off-Kilter Acres every chance we get. 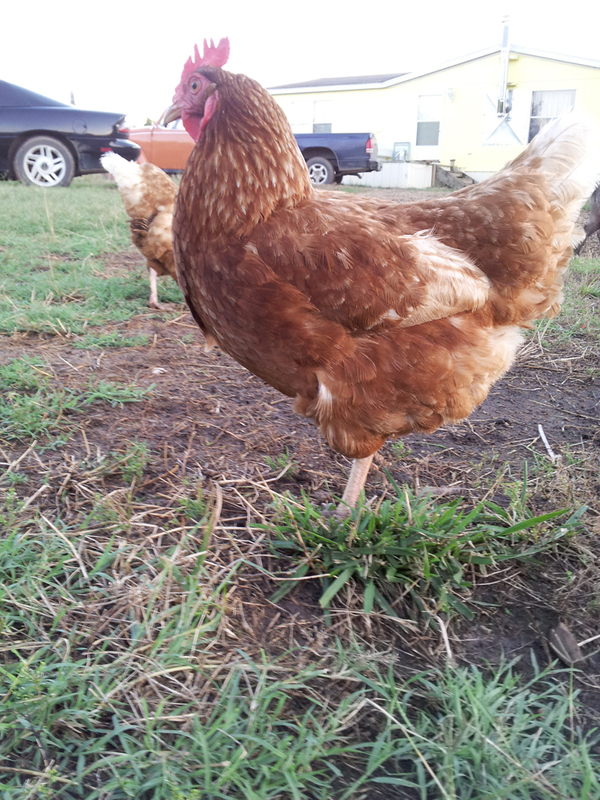 One way we do that is by letting our animals, namely our chickens, ducks and a turkey do a lot of the work for us. We don’t need a running tiller as long as we have our birds. Not only do they work the soil, they provide a massive amount of manure to enrich our soil and they are one of the best pest reduction tools that has ever existed, not to mention they provide us with protein in the form of eggs. Now why in the world would anyone try to buck this system? After all it’s been time tested for thousands and thousands of years, only in the last 100 years or so have we as humans decided that chemicals are the way to go. They make it easy right? Sure they do but they are not sustainable, none of the Big Ag methods are. So what is the hook you ask? The hook is the almighty dollar and they are attempting to scare you into paying them. Nothing sells like fear and they are trying to convince us that a little chicken poop is going to make us sick or is somehow unsafe to be on the same farm where you food is grown. Thanks, but no thanks Uncle Sam, I’ll take my chances with poop as opposed to your carcinogenic chemistry. Plant a tree people, grow your own groceries, shop at farmers markets or buy from people you know that grow their own food it’s the only way stop this insanity.